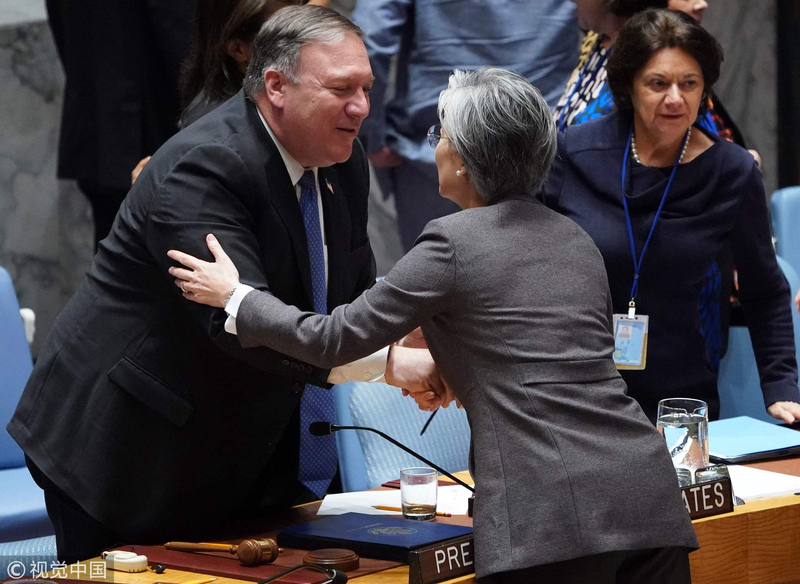 The Guardian newspaper has noted that a rift became apparent at the United Nations Security Council (UNSC) when discussing policies regarding the Democratic People’s Republic of Korea (DPRK) – with the Americans on one side of the table and the Chinese and Russians on the other. 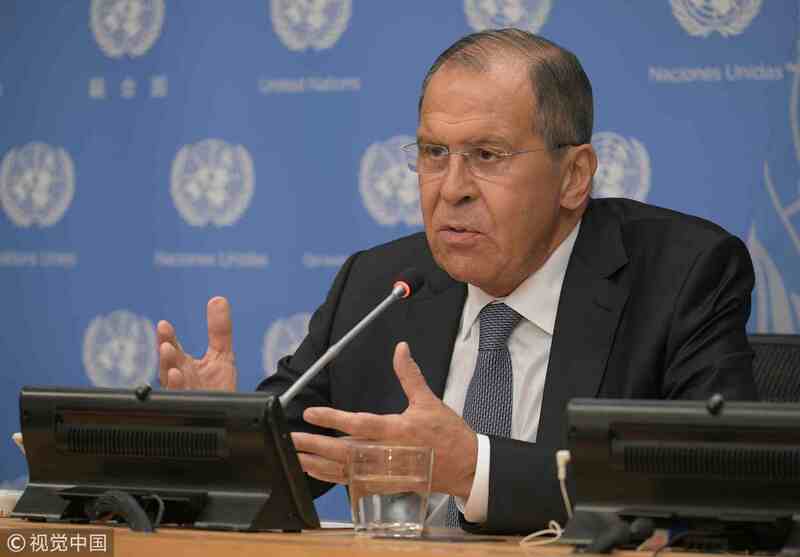 America insisted on maintaining the current sanctions against the DPRK while Chinese Foreign Minister Wang Yi and his Russian counterpart Sergey Lavrov argued that there should be more relaxed policies towards Pyongyang “given the positive developments” on the Korean Peninsula. 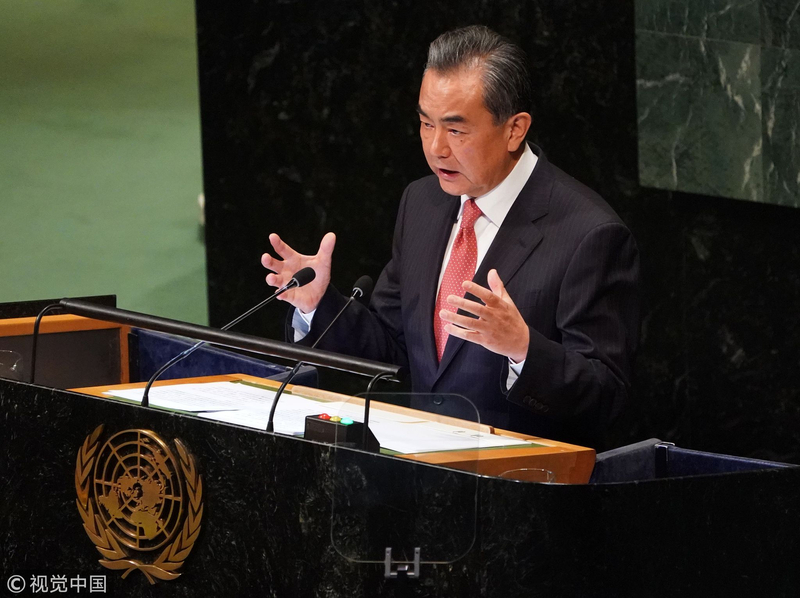 Confronted with America’s unilateralism and hegemony, two major powers – China and Russia – showed their diplomatic solidarity on September 27 at the UNSC meeting in New York. Over the past several years, relations between Russia and China have significantly improved. In the United States and many other Western countries, this accord is seen as a bad thing and has indeed raised some concerns. Yet, if those countries would take a step back and think for a minute, they’ll realize that it actually is not a bad thing that the two countries are bettering their ties. As the world’s center of gravity shifts eastward, China is on the cusp of becoming a great power – and it is only a matter of time before it accomplishes that feat. In recent years, Russian President Vladimir Putin has significantly improved relations with Beijing. This is mainly because of the West’s reaction to Moscow’s decision to accept the Crimean plebiscite to join Russia in 2014. President Putin, a “European Russian” at the beginning of his presidency, slowly shed his illusions about America (and the West). After many betrayals and broken promises by America, he reluctantly distanced Moscow from Washington as a result of America’s reckless foreign policy towards his country and its neighbors. Today, as a result of these betrayals, the majority of Russian citizens and its political class do not want to shake hands with the US. Thus, while Putin still sees America as a national security partner, America’s misdeeds and unwillingness to reciprocate is forcing him to move his eyes eastward towards China. Meetings between Putin and Chinese President Xi Jinping have been occurring on a regular basis. Both leaders have frequently visited each other’s country and the two capitals are cooperating on a variety of issues. Yet, the rapprochement goes beyond the two leaders. Apart from frequent visits by ministers and state delegations, there are many advocacy groups in Russia and China trying to promote better bilateral relations. Likewise, people-to-people and cultural exchanges are on the rise, deepening the friendship between the two countries. In 2019, the two countries will mark the 70th anniversary of their diplomatic relations. Many in America are worried about this rapprochement, with the loudest voices being the triumphalists who think that America is the policeman and hegemon of the world. These are the same ones who are promoting this American-led Cold War with Russia. It is a pity because America’s transatlantic partner is also pivoting eastward towards Russia and China. Indeed, Europe has no appetite for this longstanding Cold War between America and Russia. As a result, America has lost Russia as a national security partner and America has itself created a rift in the transatlantic partnership by constantly sanctioning Moscow and imposing tariffs on Beijing and the European Union. Moreover, America only has itself to blame for the close ties between Russia and China. For Russia, this is perfectly normal. The largest country in the world is the bridge between Europe and Asia. From a geographical and an ethnocultural viewpoint, Russia is actually on both continents. Both Putin and Xi have opened the door to better relations between the two countries and it will be interesting to see how things transpire in the decades to come. Indeed, there is a new multilateral world order emerging, in which both Russia and China will presumably play a significant role. While the American political class is stuck on the alleged collusion between the Trump campaign and Kremlin, the international community continues to turn eastward. The only danger, or wildcard, in this equation is America and how it will react. It is a country that is violent in nature. It loves its guns, and has an affinity for using its military might rather than diplomatic wisdom. And the powerful forces (the triumphalists) in Washington are hell-bent on using that military might to safeguard the old unipolar world order by hook or by crook. There is still some room left in the caboose if America decides to join the ride. The question is not a matter of “if” the shift eastward will happen but a matter of “when” it will finally materialize. Let us hope America peacefully decides to join the eastward shift because, with nuclear weapons in the hands of all these countries, the result will be cataclysmic for mankind if America decides to choose the confrontational approach. This article first appeared in the author’s Times of Israel Blog and on the CGTN website. For the Times of Israel version, click here. For the CGTN version, click here.